Minimum 1 room. Electricity. Good lighting and necessary furnishing. In addition to the above: Heating, some cooking facilities, refrigerator, mirror etc. In addition to the above: Separate bedroom. Kitchen equipment and cups, glasses, plates and cutlery corresponding to the number of beds. Coffee maker and a place to wash up with drainage. In addition to the above: Lounge with dining/kitchen table and minimum 1 bedroom (with door). Oven. Wardrobe. Hot and cold water. Bathroom with wc, shower and basin. In addition to the above: Kitchen must have toaster, kettle, dishwasher and extractor fan. There should be TV (satellite or cable) and inter- net. Underfloor heating in bathroom. Equipped with complete bedding/linen and towels corresponding to the number of beds. In other words, hotel standard with all facilities for self-catering. 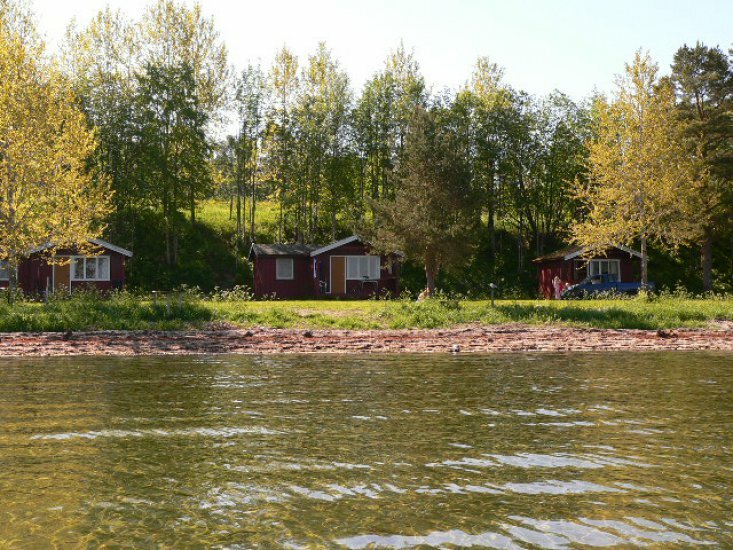 Fugelvåg camping is idyllically situated at the head of Ålvundfjord in Sunndal, 22 km from Sunndalsøra. 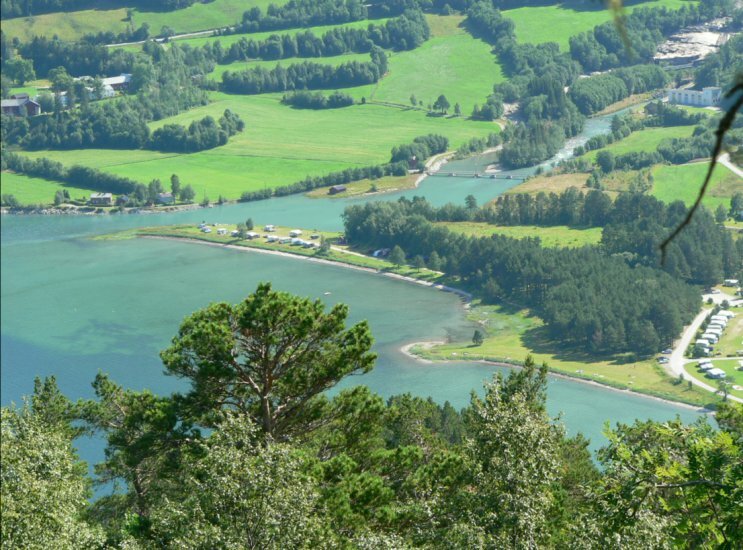 The fjord, mountains and river is in the immediate vicinity. The whole campsite has a shoreline. The sunsets are outstanding and can be enjoyed from the caravan, cabins or campsite. 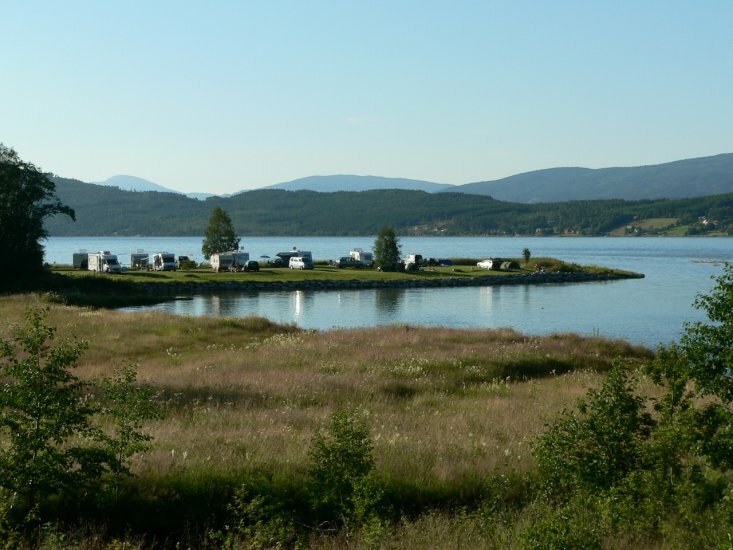 The place is well suited as a base for excursions to spectacular Innerdalen, Aursjøen or Atlanterhavsvegen, or for those who want day trips to city life in Molde or Kristiansund. We want to be a preferred tourist destination for those seeking a quiet and family-friendly place, or who want to enjoy nature on the water or in the mountains. Værvarsel fra yr.no, levert av Meteorologisk institutt og NRK. The stars shine over campsites in Norway too. However the traditional star rating of campsites doesn’t tell you anything about individual facilities like sanitary systems or what the pitches for caravans and campervans are like. The stars indicate the average mark for the campsite. Aren’t campers individualists, with completely different expectations of a campsite? Our new grading is inspired by the big organisations of Central Europe, which have all chosen to judge the quality of areas and aspects of the individual campsite rather than give an overall judgement of the campsite. Now you will find markings for sanitary conditions, pitches, service and activities in the form of a bar graph. The judgement is arrived at based on working out values for the individual aspects, seen in relation to the capacity of the campsite. This information is obtained from the campsites and is not based on inspections made by NAF. In the future we hope to be able to further substantiate the technical assessment with quality assessments that will better express standards and maintenance. Some campsites do not have a bar graph because NAF has not received information about the facilities. The total price for the unit, including 2 to 4 persons depending on the accommodation category. Using separate rates for residential unit and persons.